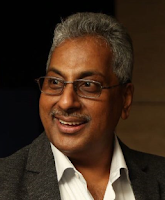 In this guest blog, Mr. Srinaath Krishnamachari, MD of UI Tech Solutions, draws on his experience of over 17 years in the publishing industry to write about the changing face of content creation. As the Chief Evangelist for technology-driven publishing solutions, he seeks to address the need of publishers to provide relevant customized content separate from freely available information. In the last five years, publishers have seen readers’ relationship to content change dramatically. A 2016 Pew Research study stated that a majority of the public—62% in the US—get their news from social media rather than traditional media outlets. A 2016 BioMed Central study states that physicians are rapidly turning to social media in order to immediately share health and research information with their patients and each other. The constant access to breaking news, studies, and research through websites and social media, often for free via social media or open access, has challenged the timing of traditional publishing cycles and threatened the methods by which publishers tend to generate revenue. Researchers are turning to publishing directly themselves to publicly accessed websites, as Nobel Laureate Carol Greider did last year, or via other channels in order to get the information out into the world, taking valuable information out of the hands of traditional publishers. As publishers try to adapt to this changing face of their audience and the industry, they must focus on trying to release research more quickly in order to respond to time-sensitive issues and creating sophisticated metadata that allows for content to be easily found amid the deluge of content. To help publishers adjust to this brave new world, PageMajik has created a product suite based on the personal consulting model their parent company S4Carlisle has offered publisher clients for nearly two decades. PageMajik allows publishers to automate significant portions of the publishing process from author submission to final production in order to improve efficiency and timeliness of content. Current publishers using the system have noted that their efficiency has improved by an average of 40%. For publishers and authors publishing time-sensitive research, cutting the publication cycle in half can not only make their research more relevant but also speed up technological advances, scientific discovery, and medical breakthroughs. By simplifying the publishing process and automating some of the more detailed and time-consuming technical work, publishers can focus more directly on the much more important task of identifying notable research. PageMajik simplifies the process by optimizing and organizing existing content and resources while adapting to a publisher’s current systems and workflow. Working in a web-based authoring environment and InDesign, PageMajik does not require additional training and allows everyone along the publishing cycle to work on the document. PageMajik also performs a number of detailed tasks that are time-consuming for publishers, such as identifying inconsistencies and anomalies in usages and forms of words (hyphenations, allowed prefixes, precise usages) using pattern-based rules, and grammatical discrepancies using built-in English language rules. A challenge that publishers and researchers alike face upon release of published research is how to reach the audience for the work. Significant studies have been done on the lag between publication and discovery of research, with academics struggling with how to find the right information amid the deluge of content. PageMajik has created the ability for publishers to do chapter level metadata tagging, allowing for a deeper level of search functionability and, thus, easier discoverability. As the audience for research and scholarly publishing expands and changes even more toward the digital and direct outreach, publishers must find the ways to work quickly and easily adapt their current systems to stay not only competitive but viable. PageMajik provides a simple, cost-effective method for publishers to continue to be a vital part of the publishing and research process. About PageMajik: PageMajik is a publishing workflow management system that combines all of the individual steps of the publishing process into a seamless product suite to improve workflow and efficiency. PageMajik’s product suite has an in-built Content Management System that facilitates storage, retrieval and reuse of data at any given time. The CMS has been customized to suit publishing workflows, with version control features and user access control. EMBO is an international organization that promotes scientific excellence in Life Sciences.It has over 1700 members elected from the leading researchers of Europe and beyond. The organization is funded by 29 member states to provide support to scientists through events, networking opportunities, funding and fellowships for young researchers and shaping science policy. EMBO also publishes four journals reporting important discoveries from the global bioscience community: EMBO Journal, EMBO Reports, Molecular Systems Biology and EMBO Molecular Medicine. 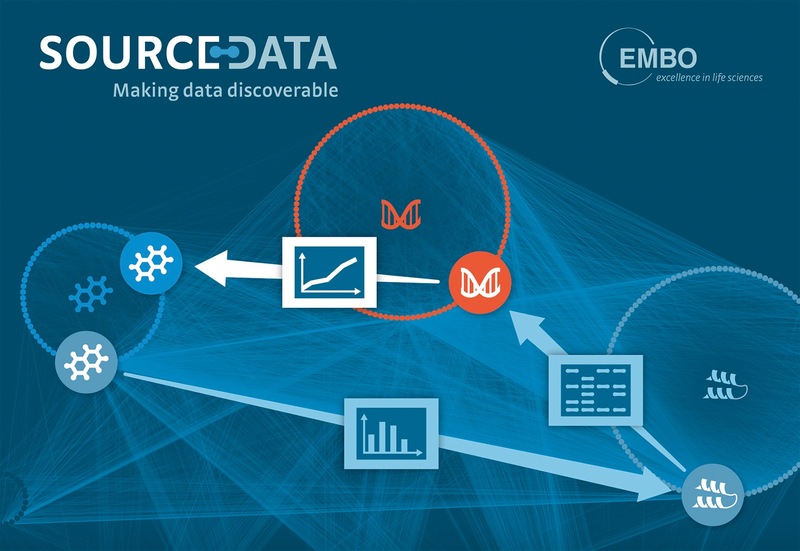 SourceData is a technology platform made up of several tools that extract information about published figures and make scientific data more discoverable.Through EMBO’s work at the intersection of research and publishing we realized there is a disconnect between the way research data is published in scientific papers and the way researchers typically want to interact with it. Most scientific papers report the results of carefully-designed experiments producing well-structured data. Unfortunately, during the publishing process this data is typically summarised in text and graphs and “flattened down” thus losing a lot of valuable information along the way. As a result, it can be very difficult for researchers to find answers to relatively simple questions because data is inaccessible. For example, it is currently very cumbersome for a scientist to find specific experiments where a certain small molecule drug has been tested on a specific cancer cell line or to look at the results of a published experiment and find out whether similar data had been published elsewhere. These are the kinds of scenario where SourceData can help. SourceData goes to the heart of the scientific paper - the data - and extracts its description in a usable format that researchers can access and interrogate. It then goes on to link this data to results from other scientific papers that have been through the same process. SourceData - Making Scientific Data Discoverable from SourceData on Vimeo. With SourceData, EMBO has developed a way to represent the structure of experiments. The principle of SourceData is rather simple: we identify the biological objects that are involved in the experiment and then we specify which objects were measured to produce the data and which, if any, were experimentally manipulated by the researchers. Despite its apparent simplicity, this method allows us to build a scientific knowledge graph that turns out to be a very powerful tool for searching and linking papers and their data. The development of SourceData has been a collaborative process involving the Swiss Institute of Bioinformatics who provided their expertise in developing software platforms in the field of Life Sciences and the curation of data. 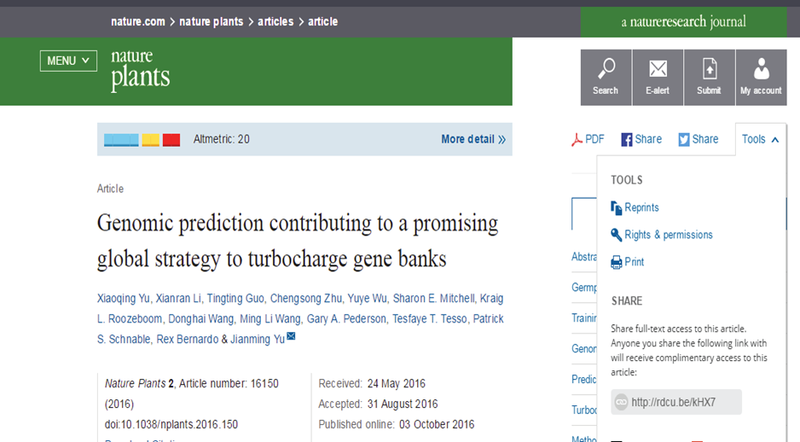 After this we worked with Wiley to implement SourceData within a publishing environment. Nature also contributed content to the initiative. SourceData transforms the way that researchers can interact with scientific papers by getting to the heart of the paper - the data, and putting it into a highly searchable form. It then takes this a step further by linking this data with relevant results from other scientific papers so that researchers can explore these connections.SourceData can give readers a new level of confidence in finding more of the research that is relevant to their questions. It can give scientists more opportunities to have their publications found and cited and can allow publishers to expose more of their content to interested readers by making it even easier to search and explore. Our work to date has involved a lot of manual work so we are now working to automate this process. We are developing artificial intelligence algorithms using deep learning to extract the structure of an experiment from their descriptions in natural language. Our vision is to provide access to our technology to as many publishers as possible and encourage the widespread adoption of SourceData. In doing so we hope to facilitate access to the data behind more and more journals over time and ultimately accelerate Science in the process. 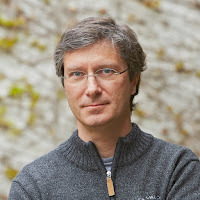 Thomas Lemberger is leading the SourceData project and is passionate about the importance of scientific data and structured knowledge in publishing. Trained as a molecular biologist, Thomas is Deputy Head of Scientific Publications at EMBO and Chief Editor of the open access journal Molecular Systems Biology. In the third of our series on our Awards finalists we catch up with Rhianna Jones to hear about Escalex. Escalex is a joint venture by two companies, Molecular Connections and IFIS Publishing. Molecular Connections is a leading supplier of manually curated databases and informatics solutions to major pharmaceuticals, high throughput data analysts and systems biology companies across the globe. IFIS Publishing is a global, not-for-profit information provider in the sciences of food and health. IFIS publishes FSTA, a comprehensive database of scientific and technological research and information relating to food, beverages, and nutrition. We submitted Escalex, a one-stop knowledgebase for authoritative regulatory information on food and drink. To give some background, Escalex came out of discussions with the academic and industry food communities. We kept hearing how difficult and time-consuming it was to find essential food regulatory information and keep-to-date with changes. Food law is a very complex area. Even within one country, regulations can be managed by a range of government departments, with information stored in different places and with varying levels of standardisation. When you need information across multiple geographies, it becomes even more challenging. Furthermore, many regulatory documents are hundreds of pages long. A frequent pain point was that even when one has the right document, it can still take a long time to find a specific piece of information within it. IFIS and Molecular Connections recognised that together we could make a real difference in this area. After three years of research, development and testing, we launched Escalex in April 2017. Escalex's strength comes from the combination of IFIS' expertise in managing complex scientific food and beverage information, and Molecular Connections' innovative information discovery and mining capabilities. For example, we discovered that throughout food regulations globally, there is no standardised format or categorisation of the themes for regulatory documents. 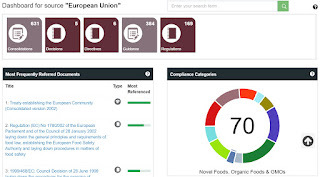 As part of Escalex’s development, in-house experts in food law and food science created categories and subcategories for deep-indexing the content, which have been specifically designed for optimum granularity. With a user-friendly interface and dedicated search lenses, Escalex facilitates multiple ways to navigate content, including tabulated data. Every record is indexed in-depth using a commodity-based and regulations-enriched thesaurus, which enables high granularity of search results. From our research, it was clear that there was no solution available that met the complex information needs of the community. Escalex was built from scratch using real-life use cases, resulting in an efficient research tool to mine and digest food regulation content. We recognise that every user is different. Some like to browse, others like keyword searching. Some will be experts in food law, others will be beginners. Some people will want the full, original document, while others will want a snippet. We developed Escalex with this in mind, providing users with a choice of routes into the regulatory information: Dashboard, Explore, Limits, Definitions and Documents. Escalex also provides annotated, bookmarked versions to make the full documents easier to navigate. We have also designed Escalex to point users in the direction of additional relevant information that they may not have been aware of, such as related documents, validity dates to help manage transitional periods, and the option to open up an easy follow on search in another lens. These are just a few examples of innovation within Escalex, aiming to make food law research easier and more effective. We have an exciting development roadmap in place. In line with feedback from the community, we are currently working on Brazil, India, Malaysia and Singapore as the next countries to be added, as well as GRAS reports and US state level regulations. We also have lots of ideas for additional functionalities, so Escalex is going to be keeping us all busy for the foreseeable future! Rhianna Jones is Senior Marketing Manager at IFIS Publishing, and an active volunteer with the Special Libraries Association and Institute of Food Technologists, British Section. 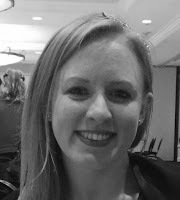 In this blog we talk to Sarah Greaves of Springer Nature about their shortlisted entry to tell us the story behind SharedIt. Springer Nature was formed through the merger of Nature Publishing Group, Palgrave Macmillan, Macmillan Education and Springer Science+Business Media in 2015. It is a leading global research, educational and professional publisher, home to an array of respected and trusted brands providing quality content through a range of innovative products and services. The company numbers almost 13,000 staff in over 50 countries. Our brands are some of the most trusted and respected in their fields, with Springer founded by Julius Springer in 1842, Nature first published in 1869 and Macmillan Education a leading publisher for over 150 years. The project Springer Nature submitted to the Awards is SharedIt. SharedIt is a content-sharing initiative that provides links to view-only, full-text subscription research articles which can be posted anywhere - including on social media platforms, author websites and in institutional repositories – allowing researchers to share research, legally and freely, with colleagues and general audiences. 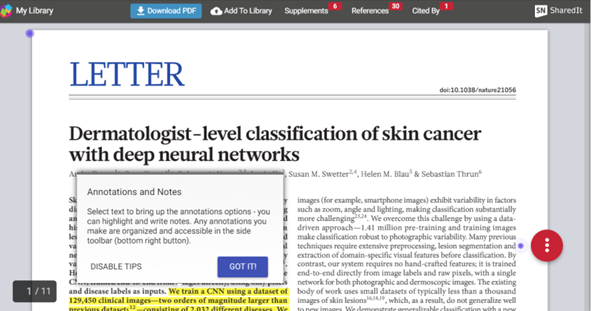 SharedIt uses technology provided by ReadCube, part of DigitalScience, to create a readable PDF version of the published paper – but one that cannot be downloaded – and creates a unique ‘SharedIt’ link which authors, and subscribers, can then forward on to other researchers. SharedIt is the first initiative by a global STM publisher to encourage authors to promote and use a free sharing facility – meaning anyone can access the published version of record if they have the SharedIt link. 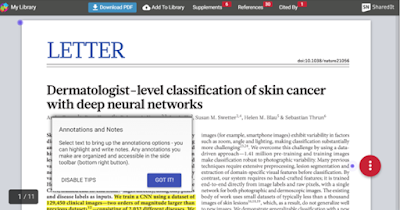 By not limiting the amount of times a paper can be shared this increases access to the published literature across the globe and through our own analysis we see many students and post-docs taking advantage of this sharing facility. Authors are also encouraged to share their links on social networking sites knowing that the research community will always have access to the final published version of record. We plan to continue developing SharedIt and are currently trialling the use of sharing for books and book chapters. We are also looking into the use of SharedIt for our peer reviewer community. We are keen to listen to the community and expand SharedIt based on their needs and expectations around content sharing. Sarah Greaves, PhD, is an experienced science publisher at the cutting edge of innovation and product development - having led successful journal launches and numerous other profitable projects in both traditional and new business models. 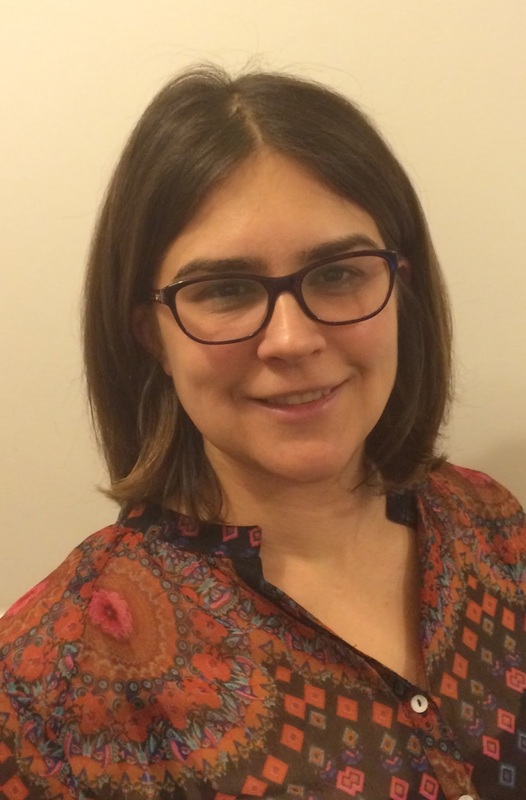 During 18 years at Nature Publishing Group and now Springer Nature, Sarah has moved from being an editor at Nature Cell Biology, to the Nature publishing team; becoming the Nature publisher in 2007. Since 2010 Sarah has focussed exclusively on innovation and new product launches and drove the launch of open access titles across Nature Publishing Group and has recently launched Recommended, a primary paper pan-publisher recommendation service across the Springer Nature platforms as well as helping to lead the SharedIt initiative. Rahul Arora, Chief Executive Officer at MPS Limited, who sponsor the ALPSP Awards for Innovation talks to us about innovation and their recent acquisition of THINK subscription. Firstly, what are your thoughts on this year's awards finalists? What do they demonstrate about innovation in the industry. This year's finalists showcase a diverse set of innovative thought, but two major themes stand out: collaborative information sharing, and creative analysis and dissemination of information. Turning to Think Subscription are there any elements of this solution that are particularly innovative? The THINK application offers an extensive and flexible range of subscription modeling including date-based, issue-based, and unit-based subscriptions, or a hybrid of date-based with issues or units. This provides publishers with a tremendous capability to envision and develop new subscription offerings, while maintaining compliance with generally accepted accounting procedures and regulatory environments. In addition, our extensive APIs allow publishers to deploy a true subscriber self-service environment, as well as the ability to extend the system and integrate with third-party applications. Such potential integrations include those with popular CRMs and finance applications. THINK offers a fully integrated E-Commerce & Content delivery platform called ScholarStor (an MPS proprietary platform) which includes various workflow options for open access, unit price, and pay-per-view, along with an end-to-end flow of subscription lifecycle management. At various points, all modules (catalogue management, content management, product display, shop cart, payment gateway, self-serve, promotion management, etc.) have synchronized integration with THINK which allows users to seamlessly experience the complete lifecycle. What are the aspects of Subscription and Fulfilment management that would benefit from innovation? THINK aims to be a one-stop solution for publishers. The THINK suite allows publishers to manage one single platform for delivery, rather having multiple systems to manage your back-end invoice & order flow, payment system, accounting system, access management, content delivery, catalogue management, etc. Publishing has becomes complex over time, and innovation is the key to keep it simple and easily accessible. THINK offers more sophisticated and numerous subscription models along with a wider range of fulfilment capabilities. More and more customers are becoming subscribers because subscription experiences built around services meet consumers’ needs better than the static offerings or a single product. But in a lot of cases purchasing a subscription will still involve fulfilling content or products whether that is physical or digital, and that’s where THINK offers more than just recurring billing. What are the needs and challenges? For many clients the key challenge is to provide an application that allows for more than just recurring billing, but to couple this capability with fulfilment, whether physical or digital. How will the acquisition of Think Subscription allow you to innovate better in the future in terms of providing end-to -end solutions for your customers? We communicate with our customers closely in order to understand their goals and challenges. As an organization, MPS has the capability to provide services across the complete author-to-reader value chain, including typesetting services, production services, work-flow management, peer review services, customization & development services, order management and much more. We consistently introduce new technology and update our solutions as necessary to ensure we are adapting to clients' changing needs and market dynamics. Our goal is to help our clients achieving their business objectives. Position in the publishing value chain - An opportunity to manage and support our customer’s customers. Advancement of platform business vision - As publishers are investing in their platforms for a competitive edge, we are consistently investing in our platforms. Rich understanding of the THINK Platform - Users of the platform as a service bureau, system integrators in implementations, and developed various tools above the platform for greater efficiency and extension to other business systems. Synergies with MPS Platforms - ScholarStor and MPSInsight neatly integrate with THINK, making it together a platform suite fulfilling end-to-end requirements of the publishers. Complementary client base - We have very limited overlap in customers. MPS is a customer focused organization and we develop deep strategic relationships with our customers. Do you have any future plans to expand to extend your product/service offering further? THINK is now part of a growing company. More importantly, publishing is our core; and science and scholarly publishers account for the largest share of our business. We have a platform-based growth vision and the THINK platform will be a core aspect of our growth strategy. Our aspiration will be to offer a platform suite that helps solve your business problems. MPS has a strong track record of building High Performance teams. Our team culture demands great flexibility and high responsiveness to our customers' business needs and technical requirements. We are a competitive organization that is always looking to learn in order to be more meaningful. We have a list of items in our current product enhancement road-map and with every passing day we are approaching towards a new milestone to be achieved in the publishing platform domain. We are actively engaged in introducing new functionality and features. Rahul Arora is the Chief Executive Officer at MPS Limited. He graduated from Babson College, Massachusetts and has a MBA from the Indian School of Business in Hyderabad. Rahul led the transformation of his family’s print-focused publishing business to a larger, professionally-driven B2B media enterprise. He has led and grown some of Gallup’s most innovative consulting partnerships in the APAC region. As CEO of MPS, he manages the current operations in India and the United States, while continuing to actively engage with their client base. MPS Limited provides platforms and services for content creation, full-service production, and distribution. The business division, THINK provides leading order management solutions that help you optimize subscription lifecycle events, maximize billing, and increase return on investment.